Delete blank pages in TIFF files before printing automatically! Scanned documents are stored in multi-page TIFF files. When scanning a few documents, especially big ones, you deal with a lot of blank pages that appear in scanned copies. It's hard and time-somsuming to remove them without special software. 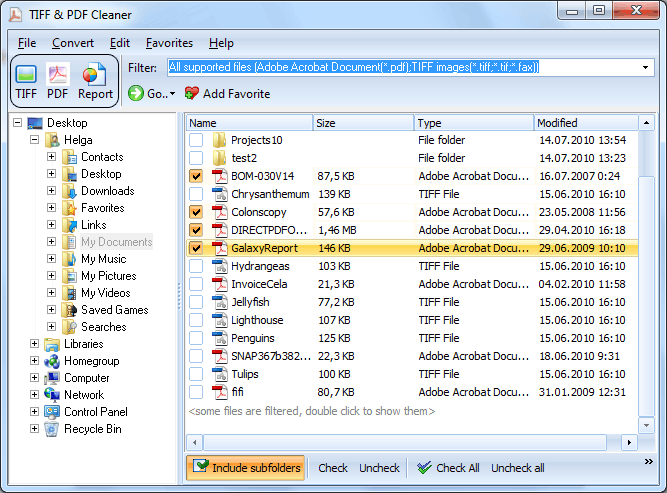 To do this easily use Tiff Pdf Cleaner from CoolUtils. This tool will automatically delete blank pages in TIFF files making them much more suitable for printing and viewing. 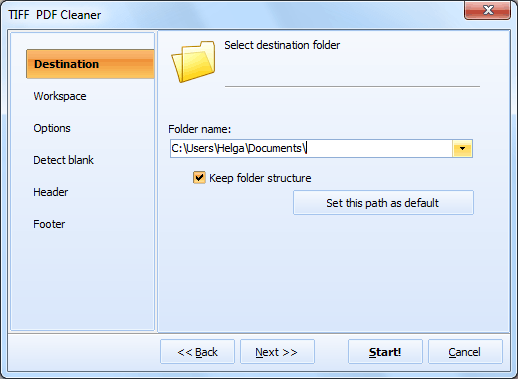 With this utility it will take you a minute to clean all blank pages from hundreds of your documents. TIFF tags and header/footer content. 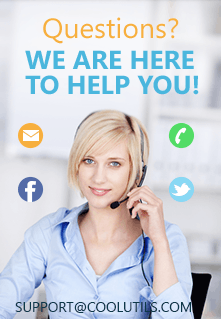 All these options are not required, you can perform cleaning with default settings to save maximum of time. However manual settings allow you to get more use from a program. If you want just to remove blank pages without any compression or edits in header and footer, then you may set just a couple of options like detecting tolerance and workspace parameters. If you are not sure what tolerance and workspace to choose, you can use Report option. This option detects blank pages in the TIFF files you select, using the parameters you specify. Then it forms a report in one of five formats (TXT, PDF, CSV, HTML or XLS). Using it you can see what pages are detected as blank and whether the detection parameters fit your purposes. 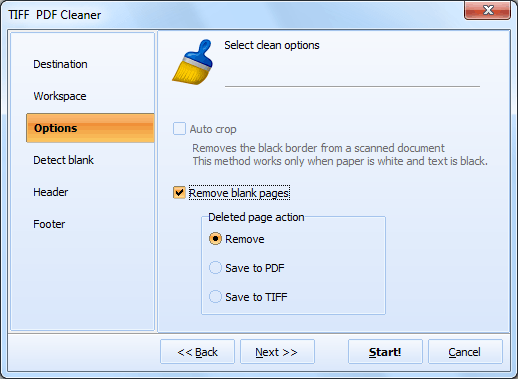 You can try Tiff Pdf Cleaner for free, just download its trial version.